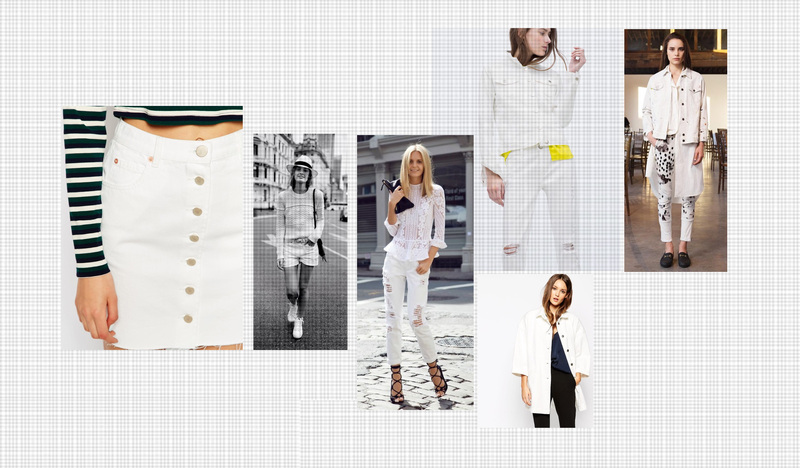 White denim is a must have this summer. From the perfect knee length skirt with button detailing to exaggerated ripped boyfriend jeans, denim is an essential part of every girl’s wardrobe. Initially I wasn’t a fan of the almost illuminous, pristine white denim, but worn in the correct way it completes any summer outfit. I particularly love oversized denim jackets. This new take on the everlasting Levi’s denim version is a welcomed arrival. Whether you are wishing for a casual day look with platform sandals or prefer an evening option with colourful pointed courts, white denim is the new staple piece for this summer. Hot on the high street: Urban outfitters have some great girlfriend jeans in store right now. New Look have a mini denim skirt which is a perfect throw on piece. Zara have frayed denim in all shades of beautiful garments. Don’t buy too cheap; true denim is worth paying for (it will last a lifetime). Look out for details; denim details add intricate finishing touches to what appears to be a standard garment. DIY; don’t be afraid to add rips/embellishment to your garments to make a statement. Double Denim; try it and don’t regret it.